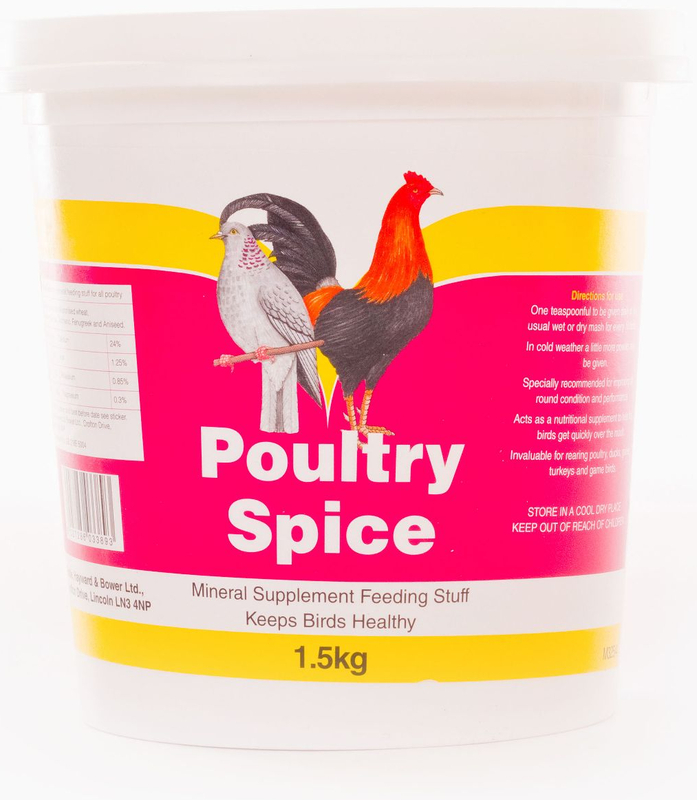 A mineral supplement to give to poultry to improve all round condition and performance. 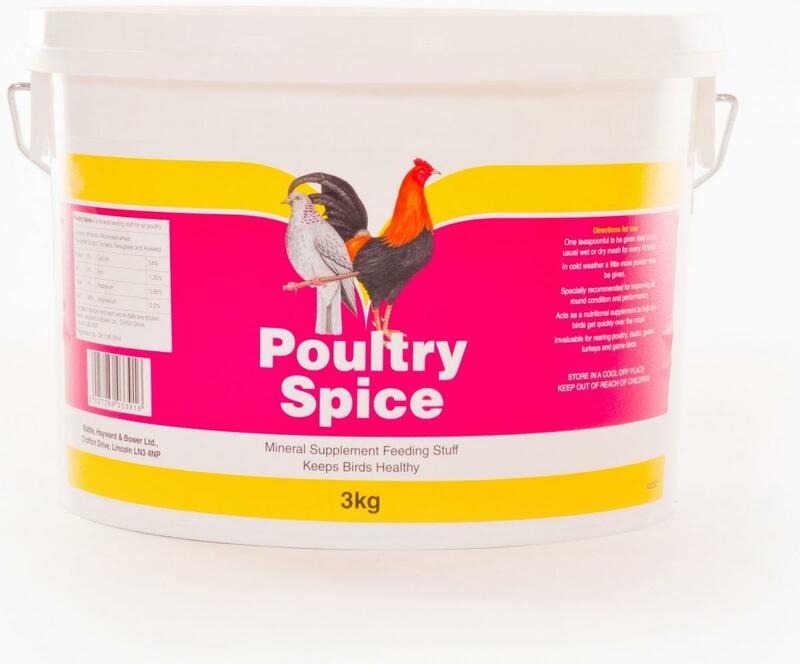 The aromatic blend of highly palatable spices will encourage them to eat their ration and so help keep them strong and healthy. 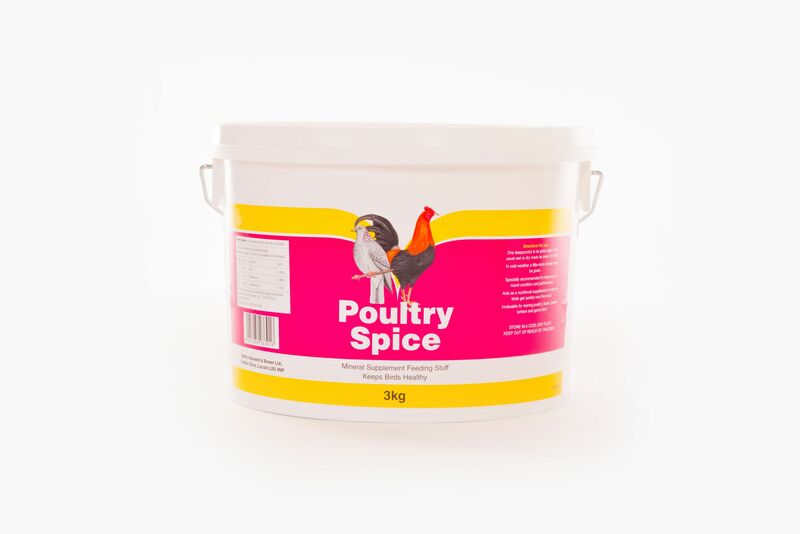 The high calcium content will promote good egg shell quality. 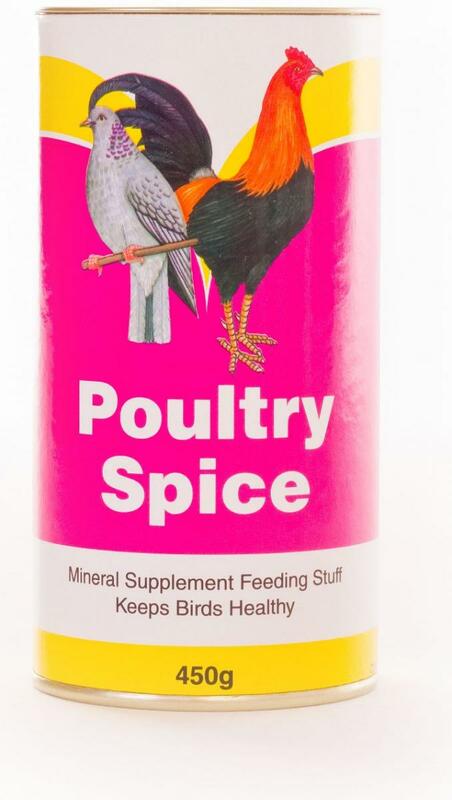 Invaluable to help birds get over the moult. Will help to keep condition on during cold weather. 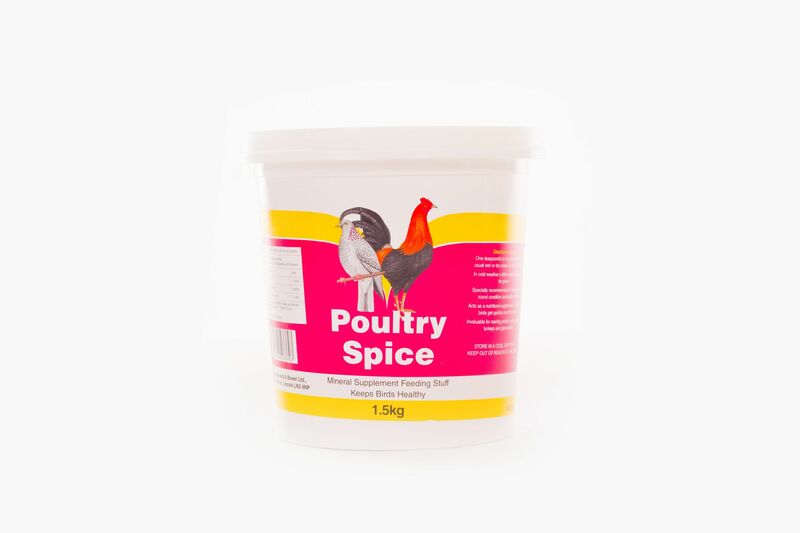 Easy to use just add to their daily ration. 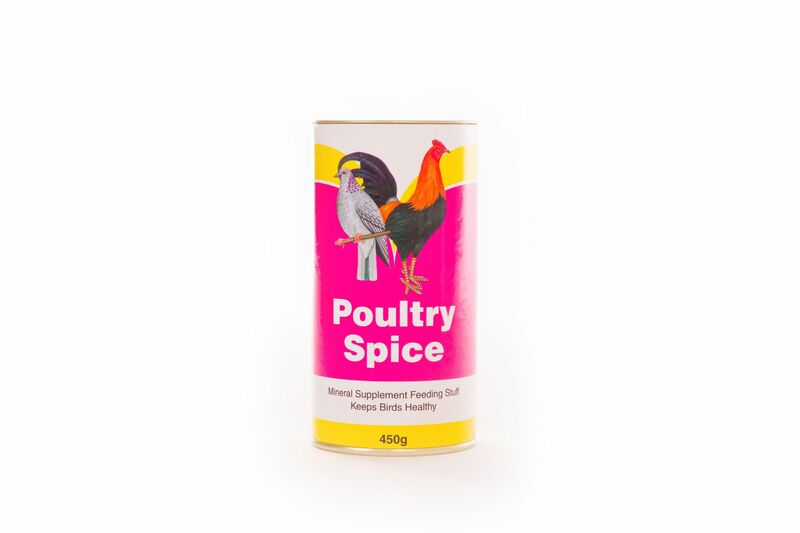 There are currently no questions for Battles Poultry Spice - be the first to ask one!